The field capacity (FC) and permanent wilting point (PWP) are important soil hydraulic properties that determine the maximum available water for plants, and they are crucial parameters for biophysical models and irrigation management. However, previous estimates of the FC and PWP failed to consider their spatial correlations at the regional scale. Therefore, we estimated the FC and PWP using the state-space equation by considering the spatial correlations between soil properties. We estimated the FC and PWP using a first order autoregressive state-space equation based on the elevation (Elev), bulk density (BD), soil texture (Clay, Silt, Sand), soil organic carbon (SOC), and land use (LU) with a data set obtained from 104 in situ sampling sites across the entire Hexi Corridor. The results indicated that the distributions of the FC and PWP exhibited moderate variations in the Hexi Corridor, with values of 0.127 ± 0.060 and 0.075 ± 0.034 g/g (mean ± 1 standard deviation (SD)), respectively. According to t tests, the autocorrelation coefficients for FC, PWP, Elev, LU, Silt, Sand, and SOC as well as the cross-correlation coefficients between FC, PWP, and pertinent variables were significant with one lag distance (approximately 40 km) (p ˂ 0.05). Calculations of the coefficient of determination (R2) and root mean square error (RMSE) showed that the state-space models performed better at estimating FC and PWP than multiple linear stepwise regression models (SMLRs). Bivariate state-space equations based on Silt and LU were the optimal models for estimating FC (R2 = 0.999, RMSE = 0.002 g/g) and PWP (R2 = 0.997, RMSE = 0.002 g/g). According to the coefficients in the optimal state-space models, soil texture and LU were the dominant factors that affected the spatial variability in FC and PWP. After neglecting the spatial correlations between variables, the SMLRs showed that BD and soil texture were the best variables for estimating FC and PWP. The state-space approach is recommended as a useful tool for quantifying larger-scale spatial patterns in soil properties. 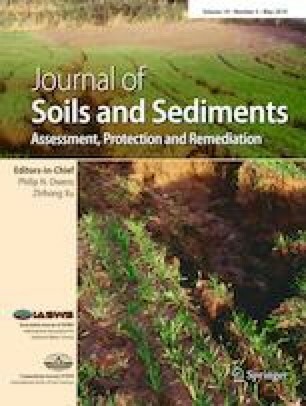 This research was funded by the National Natural Science Foundation of China (41530854 and 41571130081) and the Open Research Fund of the State Key Laboratory of Soil Erosion and Dryland Farming on the Loess Plateau (A314021402-1717).